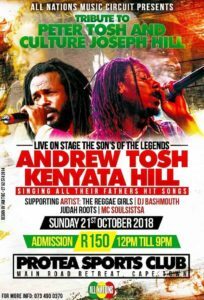 Reggae Promoter All Nations will present The Sons of the Legends, featuring Andrew Tosh and Kenyatta Hill at Protea Sports Club in Cape Town on Sunday, 21 October 2018, 12pm to 9pm. Support will be The Reggae Girlz, DJ Bashmouth, Judah Roots and MC Soulsista. The gig is a tribute to Peter Tosh and Joseph Hill (Culture). Their Sons are now in the forefront singing all their popular songs. This year is the 74th and 69th year since the birth of the legendary fathers, and 19October 2018 would mark the 74th birth anniversary of Peter Tosh. Born Carlos Andrew McIntosh, 19 June 1967) is a Jamaican reggae singer and son of Peter Tosh. He is the nephew of reggae singer Bunny Wailer, also an original member of The Wailers. Tosh was exposed to the music of his father’s group, The Wailers, from an early age. His mother Shirley Livingston was the sister of Bunny Wailer. His first recording session was in 1985, produced by Charlie Chaplin and resulting in the single Vanity Love. After his father was shot in 1987, he performed two songs at his funeral, Jah Guide and Equal Rights. 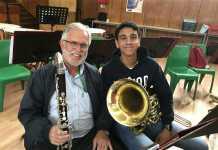 He moved on to work with producer Winston Holness on Original Man on ROHIT Records. This was followed in 1989 by Make Place For The Youth, which was nominated for a Grammy Award for Best Reggae Album. In 2004, he recorded an album of songs by his father, Andrew Sings Tosh: He Never Died, and in 2007 announced he was working on his fourth studio album – Focus. In 2010, he released an acoustic album dedicated to his father, Legacy: An Acoustic Tribute to Peter Tosh. 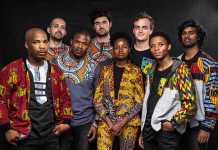 The album features a duet with Andrew and Kymani Marley a rendition of Lessons in My Life and a song entitled I Am, which features Bunny Wailer. The album was nominated for a 2011 Grammy for Best Reggae Album. His career began the day his father’s ended – Joseph Hill, singer and songwriter for the legends. Member of Jamaican vocal trio Culture, Joseph Hill died while on a 2006 tour. To the amazement of everyone Kenyatta stepped onstage and delivered electrifying performances – 19 shows in all until the tour was complete. At the Ranny Williams Center in Kingston Jamaica at the memorial concert for his father, Kenyatta’s performance with Culture garnered him the support of the hard-to-please Kingston reggae audience. 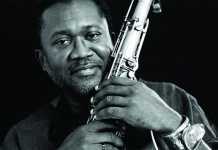 Kenyatta went on to front Culture in the US, Caribbean, Brazil, Argentina and Peru. Influenced by elements of dancehall, grounded in the roots tradition and motivated to carry on his father’s work, Kenyatta set to writing – to finish songs that Joseph had started and create new music of his own. On his poignant debut single, Daddy, (Tafari Records), backed by a masterful roster of musicians including Sly Dunbar and Dean Fraser, and produced by Lynford “Fatta” Marshall, he confronted the pain he felt after the loss of his father. Culture featuring Kenyatta Hill continues to share the wisdom of Joseph’s conscious reggae overlaid with Kenyatta’s own lively and youthful musical vision.